With summer winding down to its final blissful weeks, a new school year is soon to begin, and that means shoppers will be on the hunt for essential study supplies, clothing and gear for their school-age kids. Back-to-school promotions are well underway at major retailers, but there's still ample opportunity for small and midsize merchants to succeed in this competitive market. The key is to find ways to stand out from the big guys. That may prove even more important this school year. The National Retail Federation reports families with school-age children will spend an average of $634.78 on apparel, shoes, supplies and electronics-about $50 less per family than last year. Because people are looking to reuse what they can from last year, shopping lists will be shorter, and cost and practicality will rule, NRF says. So, online sellers, it's time to step up your game to make your items really stand out. 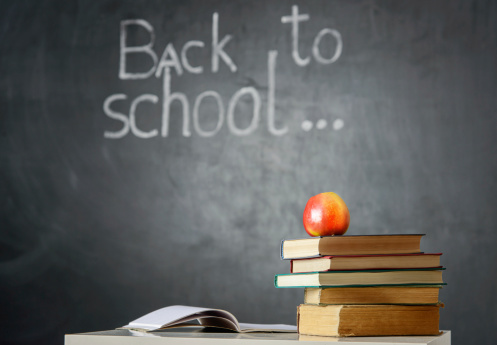 Here are a few tips to keep in mind as you prepare your back-to-school listings. When it comes to landing prime real estate in product search results, you might think it's all about keywords. In reality, these are less important to search engines than a unique, well-written product description, according to our in-house search engine optimization team. If you write information people will want to know about your product, it will naturally contain relevant keywords that will surface your listing in search results. Now, if you're selling a backpack, by all means use the word "backpack" in both your title and description. But overusing words to try and get a higher search ranking can actually count against you. Also, never copy and paste product information right from the manufacturer's site. If you do this, your listing is likely to get lost among the hundreds of others who've done the same. Bottom line: Search engines will favor the unique and relevant over the "optimized." Depending on your shopping cart or selling platform, you may have certain merchandising features available to you. Take advantage of these to make sure school shoppers see relevant items first, or can easily locate them in your store. Use eye-catching banners to let buyers know you have the school-year essentials they're looking for, and feature your best school-related merchandise on the home page. Add a "back to school" category, and tag applicable products so shoppers will see them when they look in this category. Consider adding modules on your home page and product pages that allow you to cross-sell or up-sell related products, and offer incentives to entice people to buy more than one item. If you're selling products that are available from many sellers, try creating a few unique product bundles. For example, sell a One Direction backpack with a lunch kit and water bottle that also feature the popular boy band, and your listing will stand apart from those that offer just one or the other. You can also add "back to school" or similar terms to your listing titles to make these more visible to those searching for school items. Just be prepared to revise these when the season ends, so you don't discourage non-school shoppers. Back-to-school time heralds not just a return to classrooms, but also the start of after-school sports and other extracurricular activities. Kids will need to be outfitted for these, too, reminds Rebecca Miller, Auctiva's product manager and an eBay seller or more than 13 years. The beginning of the school year is a great time to market items like cleats, knee pads, tennis rackets and other sports gear, as well as the essentials for non-sports activities students will likely be involved in, she says. Think dance apparel, musical instruments, art supplies and scouting uniforms, for instance. Online buyers have come to expect free shipping and generous return policies, so offer these whenever you can. In a survey, 74 percent of U.S. shoppers named free delivery as the top motivator for making an online purchase, according to the Boston Consulting Group. In the same survey, 35 percent said free return-shipping would make them more likely to buy. It's true that there's no such thing as "free" when it comes to shipping or returns. But it's possible to offer these incentives without eroding your profits. For example, a common and effective technique some use is to tie a free-shipping offer to a minimum-purchase threshold that's above their average selling price. Return costs can be similarly managed. Kat Simpson, a multichannel merchant, author and ecommerce educator, notes that Fulfillment by Amazon sellers' merchandise-return rates average just 1.5 percent to 3 percent. “In my opinion, this is a reasonable number, and one to plan for when setting prices and profit margins," she says. Consider increasing item prices by a couple of percentage points to help offset the cost of shipping and returns. In the end, buyers will be feel more secure buying from a no-hassles seller-and this will almost certainly increase your sales, even at your higher price points, Simpson adds. Quality images are a must in e-commerce, and the more photos you can provide of your items to show various angles, details and imperfections, the better for your sales and customer satisfaction. Keep in mind that online buyers can't pick up items and inspect them for themselves, so reassure them by showing them exactly what they'll be getting. It's best to photograph items against a white, solid-colored or neutral background that doesn't distract from the product. If you can, enable a zoom or enlarge capability, so buyers can get a close-up look at the item or focus in on specific aspects. Avoid using stock images provided by the manufacturer. Even if what you are selling is brand new in the original packaging, taking the time to shoot original photos of the product that will actually ship lets buyers know you're an honest seller who cares about the details.